In 2017, German designer Johannes Lindner gave the iconic Science Fiction Mobile new life to create an updated classic. 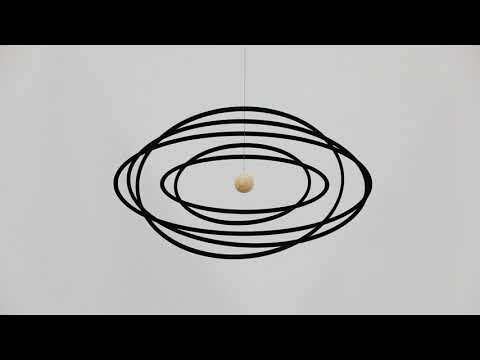 This heftier version spins gently, creating fascinating illusions. Made of aluminum shapes a beech wood ball. Hangs 9" tall by 21" wide. No assembly required. Made in Denmark.